Over the past few years in Italy, there seems to have been a spike in reported incidents of - to put it broadly - bad behavior among tourists. Damage to artistic treasures has been the worst consequence, of course, but the growing sense of entitled disrespect has cast a pall on the welcome that many of Italy's cities have extended to international visitors for centuries, and led local and national governments to pass a number of new ordinances and measures to protect both the dignity and decorum of Italy's elegant art capitals and their works of public art. Though a few cases of the disrespectful or destructive behavior have been malicious vandalism, most incidents have been caused by a simple lack of awareness of the local rules and customs, or a bit too much focus on that perfect selfie. Here we'll brush up on some guidelines for enjoying Italy without damaging its priceless art or offending its friendly citizens, so Italy can continue to be the breathtakingly beautiful and warmly welcoming Bel Paese the world has grown to love. Granted, Italy in the summer can get hot, even torrid in the larger cities. The temptation to strip down to your bikini or whip off your shirt to catch a breeze may be hard to resist, but walking around in beach attire or, worse, shirtless, is a huge no-no in Italy, unless you have your feet buried deep in the sand. Not only is it offensive to locals to have visitors wandering the streets in varying state of undress, it is also against many local ordinances and you can get fined. A good rule of thumb is to take a look around and see how the locals are dressed. 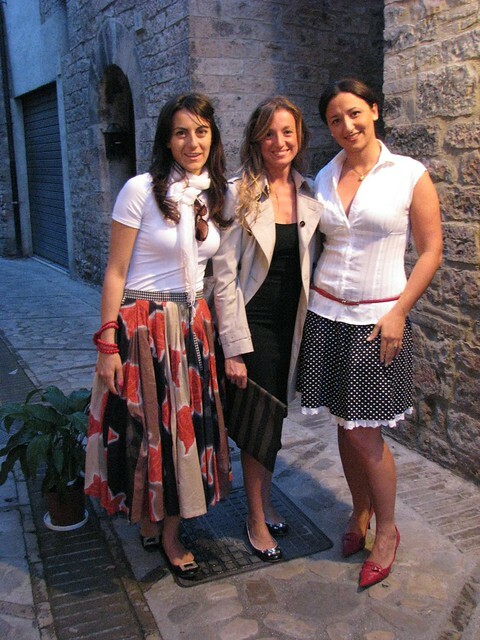 Italians usually beat the heat with loose-fitting light linen or cotton clothes: flowing sun dresses for women are fine unless you are visiting a church, as are crisply ironed bermuda-length shorts for men, unless you are dining at an upscale restaurant. Towns close to the beach are where visitors most often can be seen in swimsuits or little more, but even if you are on your way to or from the beach in Positano or Venice, you are expected to cover up when any further than the boardwalk from the water. 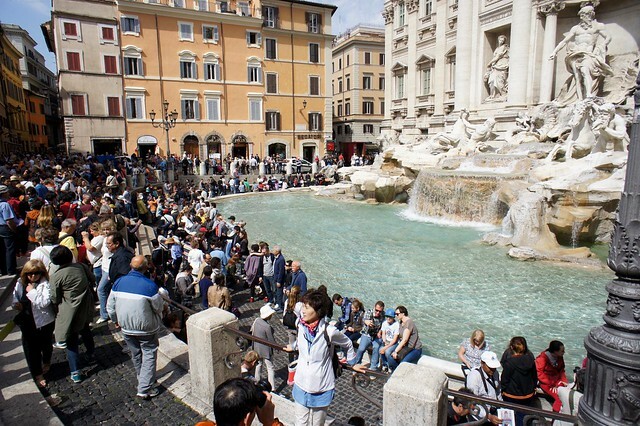 Yes, those rushing, gurgling, splashing fountains in the center of Rome (and other cities) are a siren song on the hottest days of the year, but it is absolutely forbidden to dive in, so don't be tempted. Locals in Rome and Italy's other historic centers have reached the breaking point with visitors treating their priceless historic fountains like public swimming pools, so if you do decide to break the rules, don't be surprised by the public outcry, media attention, swift fines, and even jail time. There is no other way to put it: do not swim in the fountains. Ever. Unfortunately, a few badly behaved visitors have made enjoying the fountains harder for everyone. From a ban on swimming, Rome has moved to the next step during this summer: now it is illegal to even sit on the side or put your hand in the water (http://www.ilmessaggero.it/roma/cronaca/roma_stop_a_bivacchi_e_docce_nelle_fontane_raggi_firma_ordinanza-2498862.html) of many of Rome's most treasured fountains. In short, if you need to have a drink or cool off, search out one of the city's many “nasone” public drinking fountains or spend a few hours poolside with a cocktail and a rooftop view. Selfies aren't just for kids anymore, as everyone from grannies to diplomats are documenting their travels on social media. And why not? 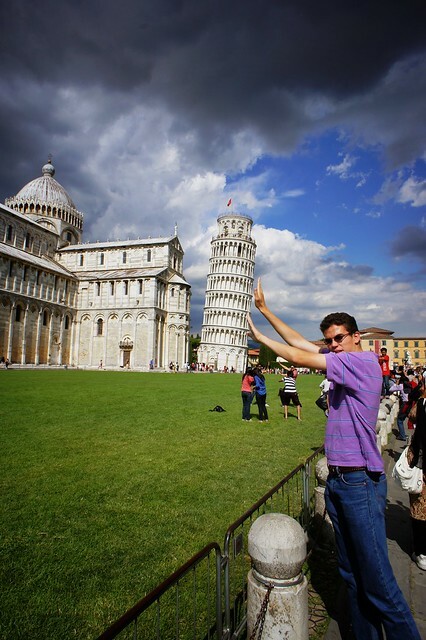 It's fun to snap a silly picture of yourself as a memento of your trip...as long as you are both cautious and respectful. Climbing up on or touching statues (or fountains: see above) is never appropriate, no matter how solid they may look. Many have been exposed to the elements for centuries, so are much more delicate than one would expect. Also, be careful when walking backwards to get the perfect shot: there have been more than one instance of museum visitors damaging artwork by tripping over them. Though you may want to wow with a sweeping panoramic shot from a high point or outcropping, never cross security gates or climb ruins that are closed to the public. Many of Italy's historic monuments have not been maintained for decades, and can be dangerous to explore without a guide or authorization. If there is a fence or safety tape around a location, don't cross it. 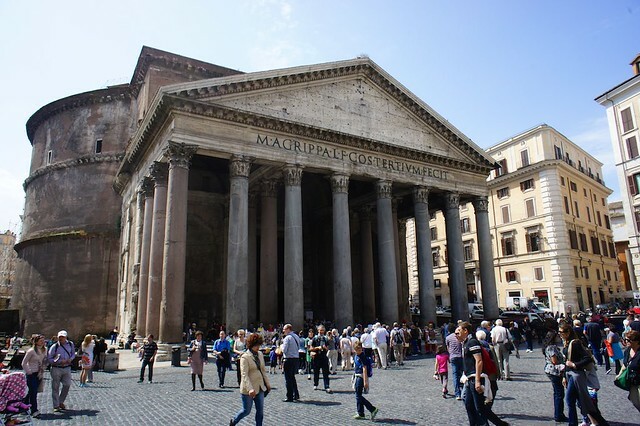 In addition to passing ordinances aimed at protecting their art and monuments from damage, Italian cities are also trying to encourage a certain decorum by cracking down on visitors sitting down to eat and drink on the steps of famous sites and churches. Picnicking on the Spanish Steps in Rome has been banned for the past few years, but mayors from Florence to Capri are discouraging loitering by hosing down public stairs every few hours so they stay wet and uncomfortable to sit on during the day. This may seem extreme, but unfortunately picnics lead to trash-covered squares and pose a safety risk when blocking the flow of pedestrians. How to enjoy a snack on the go? Do as the Italians do, and eat while you stroll. To be honest, Italians are serious about food, and enjoy the lion's share of it seated around a table. 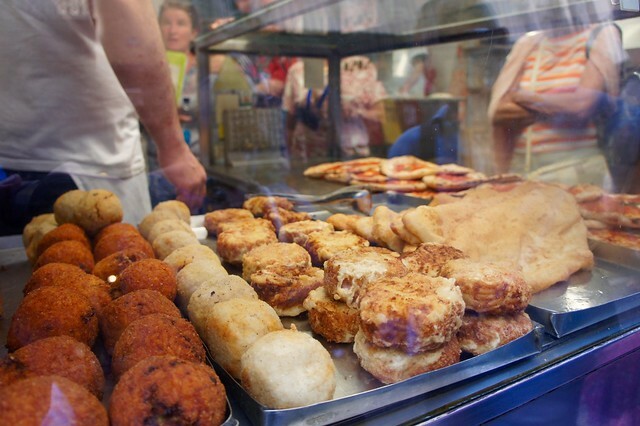 The few street foods you will find in Italy are generally meant to be eaten while walking, though there is sometimes limited space to stand or sit immediately around the food stand. If you would rather sit to eat, you can search out a nearby park that allows picnics (Villa Borghese in Rome or Parco delle Cascine in Florence are great options), or order a repast at a bar and pay the table service surcharge. Who hasn't paused before a smooth slab of wet cement and contemplated leaving a mark for all eternity? But scratching your name onto a Roman monument or other historic site isn't just playful vandalism, it's a crime that can earn you a hefty fine. If you really want to leave something for posterity, consider making a donation to FAI, Italy's non-profit national heritage fund. That way, you can both leave your mark on the Bel Paese, and protect its unique and iconic treasures for generations of tourists to come.